Unit 1: The Arc of the Story - Fun in Fourth! 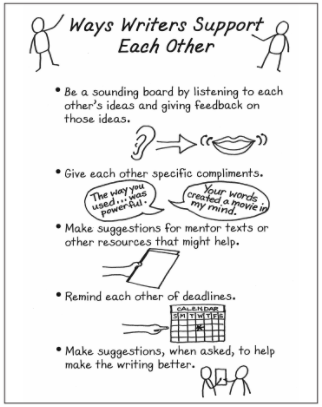 Demonstration/Mentor Texts. We also refer to The Tiger Rising during this unit to connect to our reading unit. 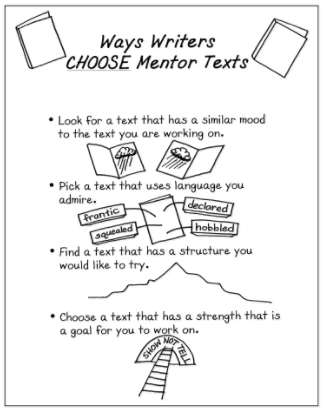 The above books will be the mentor texts for this narrative writing unit. Students will begin the work of writing a realistic fiction narrative by developing characters in their chosen seed moment. Often times when we chose a story idea to develop, we jump to developing the 'plot' and events of our story, but we are learning that skilled fiction writers must first get to know their characters. We have talked with the students about how they should know their characters so well, "they know how much change they carry in their pockets." To develop 'believable' characters, students have been analyzing internal and external traits (as well as making sure these traits cohere). Students are also learning to think about the attitude their character has about him/herself, and the attitudes others have towards their characters. Lastly, we are trying to make sure our characters are complex, and not too 'perfect'. As we work through the process, students will be giving their characters struggles and motivations to continue their development. 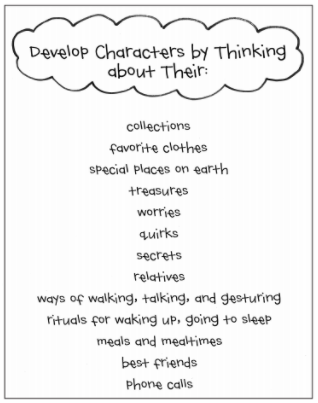 Within this work, students are identifying motivations and obstacles their characters will overcome in their stories, which indirectly helps them develop their plot, or how their story will go. 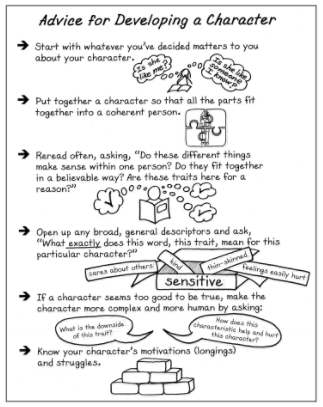 Students with then learn that after deeply developing our characters, we can better develop our plotline because we can now think back to how our character would handle various situations. 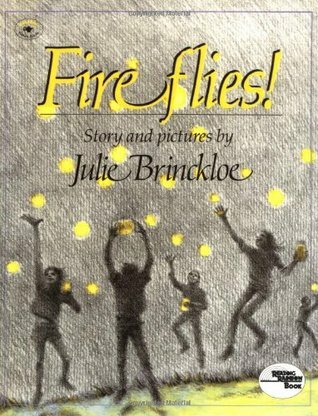 To begin the work of creating our story plotline, we will read the mentor text Fireflies which is a wonderful story that does an amazing job of demonstrating a classic story arc in a small moment story. Students will use the example set in Fireflies to plan out their own stories with key events on a graphic organizer that we call 'Story Mountain'. Students will also identify their story arc, which is the 'problem' found at the top of their Story Mountain. 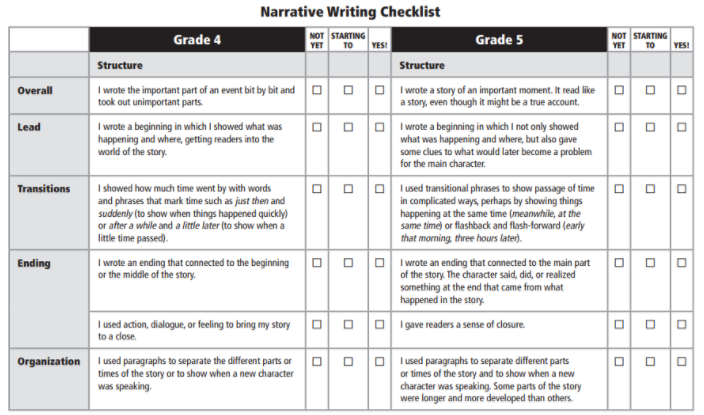 After students have developed the plotline of their story, they will move on to the work of drafting their story scene by scene, starting with their lead (the beginning of the story). We tackle our stories scene by scene so we can spend time making sure we show, don't tell. We will be working on moving from summarizing what will happen in our story to true story telling with dialogue and action. Through the work of developing our lead students will then really 'get' into their stories. 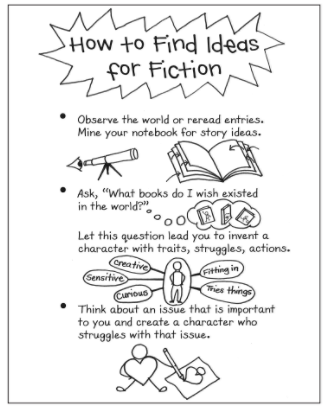 Students will learn that when fiction writers enter this phase of the process, they tend to now just get lost in their story and write, write, write. We mention to the students the anecdote about the Gingerbread Man to relate to their writing process and today's new stage - the old woman takes time to make the gingerbread man and plan all the parts about him (What will I use for the eyes? How will I design his shirt?) but then all of a sudden the Gingerbread Man springs to life, jumps off the counter calling out "Run, run as fast as you can. You can't catch me, I'm the Gingerbread Man!" 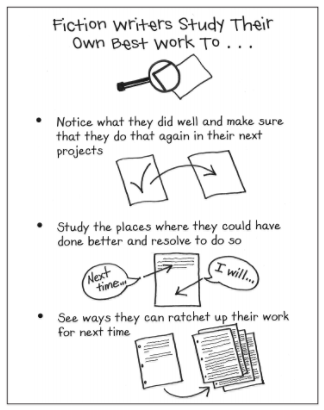 This is how the students will approach the rest of the drafting stage. They now have fully developed characters and a plotline, so now they can run with their story (of course taking out time to check their Story Mountain to make sure they are staying with their plotline). Students will then work hard to get their story out of their brain and onto the paper, so to speak, and begin the revision process. We will go back to several mentor texts (Pecan Pie Baby, Fireflies, Tiger Rising, and Harry Potter) to analyze how authors creatively began their leads. 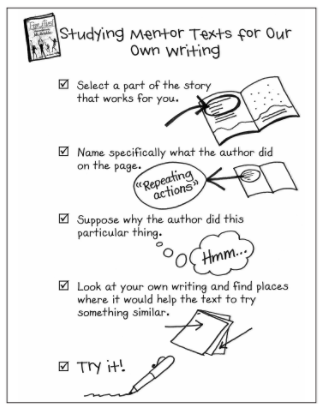 After learning about various author's techniques, students will go back to their leads and try out an author's technique to help enhance their lead. 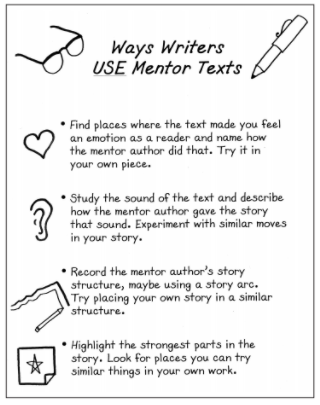 Throughout the week, students will continue turn to mentor texts to help guide them in their revisions. We learned that sometimes, as developing writers, we need to take some tips from the pros! Students are also learning how to 'turn on the lights' in their story. We never want our readers to feel disoriented, like they just woke up from a deep sleep and are unsure of where they are. So we will also make sure that we are being as descriptive as possible within our scenes so our readers never feel lost or confused about what is going on, or where there character is. We have already discussed showing, not telling, and this is an extension of that work. 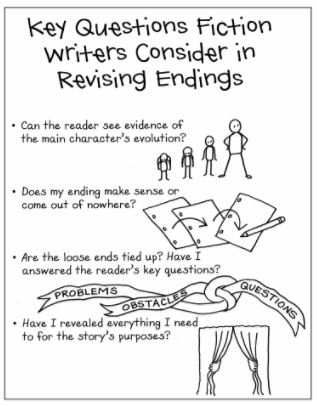 This will then bring us to writing/revising powerful endings (conclusions), using mentor texts to help us edit and revise our narrative, and editing with various lenses. The final products will amaze you! All online anchor charts, rubrics, articles, and links are copyrighted by the Teacher's College Reading and Writing Project and are not to be distributed, copied, or printed for individual sale or distribution. It is only for individual use and are to support educational learning from the classroom.